I can not describe the irony of a man that fought for the Nazi regime that was determined to wipe the Jews from the face of the earth and after the war fought to keep Jews in Israel safe. It’s been claimed in a report published by Israel’s Ha’aretz newspaper, that Lieutenant Colonel Otto Skorzeny, the former SS officer described by American intelligence as “the most dangerous man in Europe,” worked as an assassin for Mossad after the war. In particular, it is alleged that Skorzeny assassinated the former Nazi rocket scientist, Heinz Krug, who worked with Wernher von Braun on the V2 rockets that wreaked such havoc on London. Heinz Krug disappeared from Munich after the war, where he was said to be working on a missile system for the Egyptian government. A number of other scientists had received death threats and warning calls from Israelis, and so Krug hired Skorzeny as a bodyguard. What Krug didn’t know was that the former SS officer had been recruited by Mossad and was, in fact, a double-agent with orders to take out the rocket scientist. One story is that Skorzeny and two accomplices drove into the forest North of Munich and shot Heinz Krug dead before disposing of the body with acid. 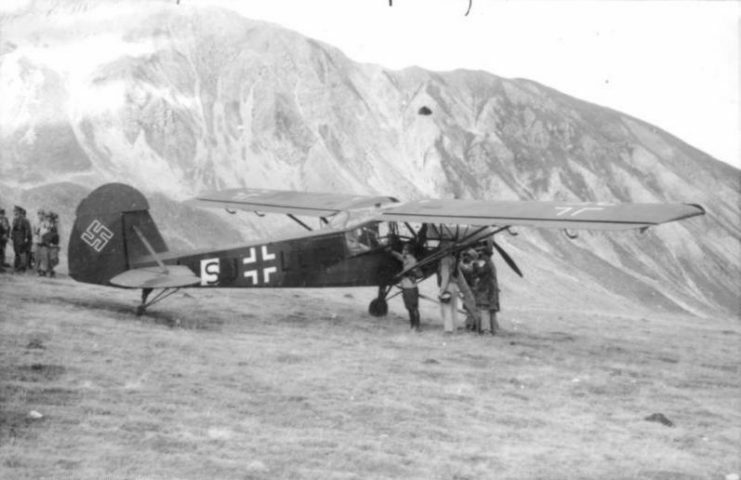 In another version, Krug is flown to Israel where he undergoes interrogation before being killed. 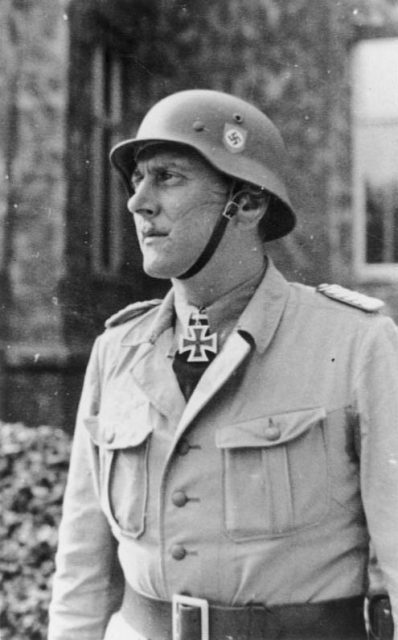 Lieutenant Colonel Otto Skorzeny was decorated by Adolf Hitler with the rank of the Knight’s Cross of the Iron Cross and was one of the Führer’s most trusted men. In 1943, he was part of the Nazi commando team that successfully rescued Italian leader, Benito Mussolini. 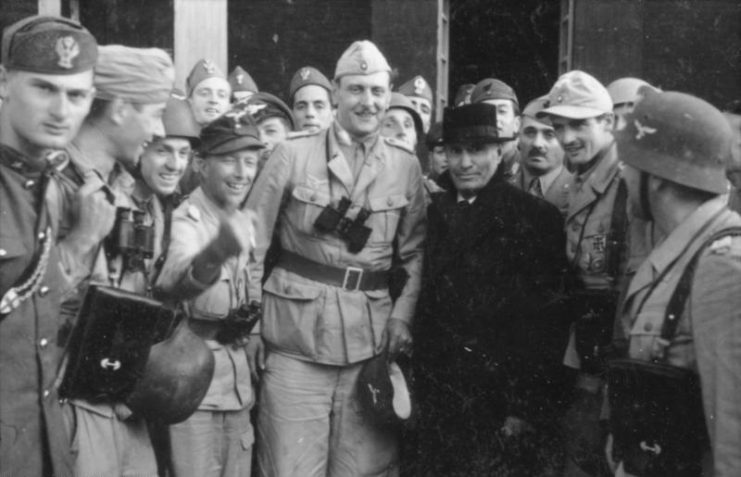 Mussolini had been put under arrest after a series of humiliations in North Africa, and the Allied Forces had begun their invasion of the Italian peninsula. 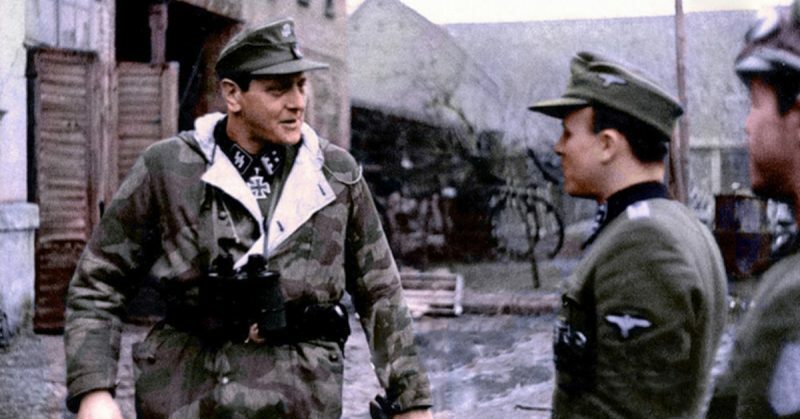 Skorzeny led a team of Wehrmacht paratroopers on a cat-and-mouse operation to search out and rescue the former dictator. 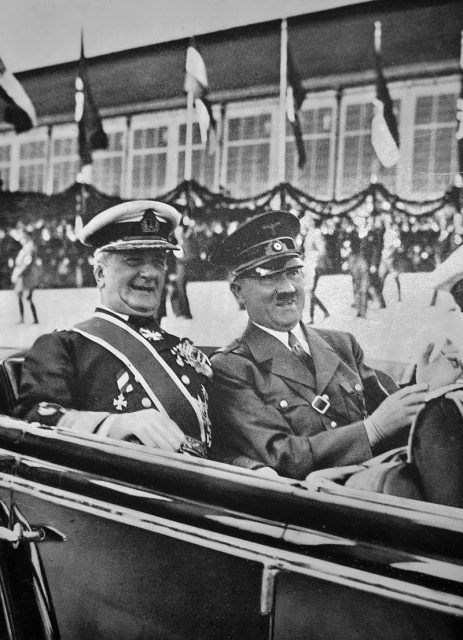 He was also part of the operation to take control of Hungary when it looked likely that the puppet regime led by Miklos Horthy would soon be negotiating for peace. Prior to 1944, the Jews in Hungary had had a champion in a pro-American Prime Minister. It was part of the Führer’s plan that he be removed from office. Horthy had grudgingly “cooperated” with the Germans but had refused to turn Hungarian Jews over to them. He was also secretly negotiating with the Allies. This led to the Nazis, with Skorzeny in command, taking over the government in 1944. 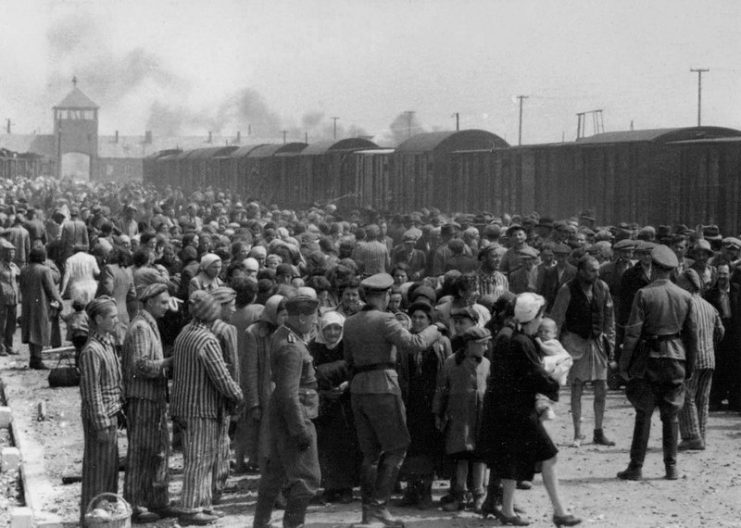 On May 14, 1944, and during the following 56 days, 147 trains took boxcars full of Jews to Auschwitz-Birkenau in Poland. An estimated 320,000 Jews were sent to their deaths in the gas chambers directly upon their arrival. Another 100,000 or so starved or died of disease. 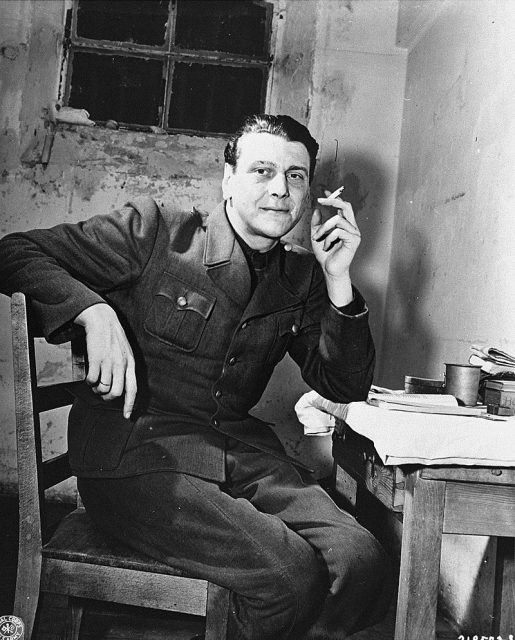 At the end of World War Two, Otto Skorzeny was captured by American forces but escaped an internment camp in 1948 with the aid of three former SS officers posing as American soldiers. Hungarian Jews on the Judenrampe (Jewish ramp) after disembarking from the transport trains. To be sent “rechts!”—to the right—meant the person had been chosen as a laborer; “links!” – to the left – meant death in the gas chambers. He evaded recapture, hiding out in a farm in Bavaria before making his way to Salzburg and later settling in Spain. He was “de-Nazified” in absentia by a German court in 1952 but was still a “person of interest” for famed Austrian Nazi hunter, Simon Wiesenthal. He refused to give any more details except to say that Skorzeny was not interested in money. There is speculation that the former SS officer feared for his life, that he might be taken and tried for his actions during World War Two, or that he simply missed the excitement of the war. Skorzeny died of lung cancer in Spain in 1975. At his funeral, a number of men gave the Nazi salute, doubtless unaware of his double life after the war.